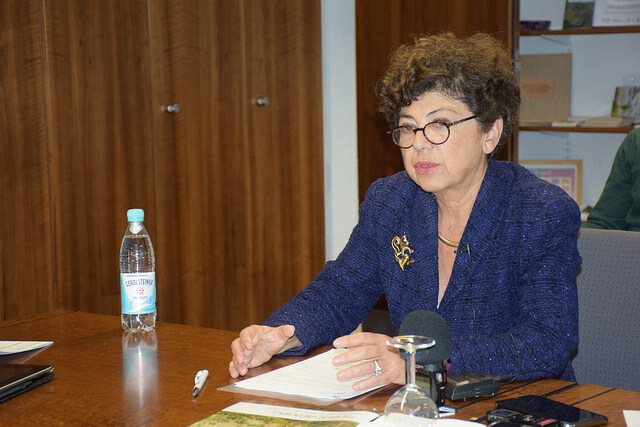 BONN, Germany, Nov 24 2017 (IPS) - Land restoration is not a “glamorous subject even when you give all the numbers,” admits Monique Barbut, the Executive Secretary of United Nations Convention to Combat Desertification UNCCD). But she also stresses that by 2050, the world population will reach 10 billion. To feed that extra 2.4 billion, current food production would need to be increased by 75 percent. By 2045, there will be 130 million people who migrated because of desertification, and out of them, 60 million will come from south of the Sahel and Africa. “To do that, we will have to add, from now to 2050, 4 million acres of new land every year. So unless urgent action is taken to restore degraded land, the world is looking at an acute food-insecure future,” she told IPS in a special interview on the sidelines of the recently concluded UN Climate Conference – COP23 in Bonn. Land vs energy: a popularity game? At the conference where ideas, actions, innovations and resources were brought in the open to design a roadmap to tackle climate change, the discussions were dominated by ending coal, producing renewable energy and making green technologies more accessible. Land was an issue largely ignored, except by some indigenous peoples’ groups who stressed the need to maintain soil fertility. But Barbut asserts that land is indeed integral to climate actions and policies taken both at the UN and at the national level. “In the INDCs [Intended Nationally Determined Contributions, or what countries will do to cut carbon emissions] they have submitted, more than 140 countries have said that land was part of their solution or their problem in terms of climate change,” she points out. One of the countries is India, where an estimated 30 percent of total land is already degraded. According to a 2016 report by the Indian Space Research Organization (ISRO) titled “World Day to Combat Desertification”, the degrading area has increased over 0.5 per cent to 29.3 million hectares in the past decade. Desertification also increased by 1.16 million hectares (m ha) and stood at 82.64 m ha during 2011-13, says the report. As a signatory to the UNCCD, India has committed to combat desertification and land degradation and become land degradation neutral by 2030. In simple terms, this means having a balanced proportion of land loss and land gain. However, though an ambitious goal, this is seldom talked about by the officials. In sharp contrast, India’s other environmental actions, especially the Solar Mission which aims to produce 175 gigawatts of renewable energy by 2022, is widely lauded. Anand Kumar, the secretary of India’s Ministry for New and Renewable Energy, is quick to point out that the International Solar Alliance – a group of 44 countries committed to produce 1,000 gigawatts of solar energy – has promised investments of 1 trillion dollars by 2030. No land restoration initiatives are likely to garner that kind of private investment, admits Barbut, as the job is more labor intensive. “Even the most degraded land can be restored with a small investment of 300 dollars per hectare. So, what is needed is not a large sum of money, but lots of manual labour. So perhaps there is not a lot of scope for huge investment and large profits,” she says. However, at the same time, she shared some good news: the UNCCD, in collaboration with Mirova, the governments of France, Luxembourg, Norway, and the Rockefeller Foundation, has launched a special fund for restoring degraded land and fighting desertification. Named the Land Degradation Neutrality (LDN) Fund, this new finance vehicle was launched on September 12 this year, during the 13th Conference of the Parties (COP13) of the UNCCD in Ordos, China. “We have launched the biggest land impact fund. It is managed by Natistix. It is a public-private fund. By the beginning of next year, we hope to have about 300 million dollars of capitalization of the fund,” Barbut says. The connection between the environment and women’s rights is an integral one, says Barbut. “Whether it’s drought, land degradation or desertification, women suffer more than others. In fact, they not only suffer from the consequences of drought or desertification, but also from the fact that in most cases women do not have rights to land,” she says, before sharing some experiences from Africa where plots of degraded land were restored, but because women did not have rights to the land, they could not stake their claim. One such example is in the Mboula region of Senegal, where the regional government allocated tracts of land to women’s groups for collective farming. 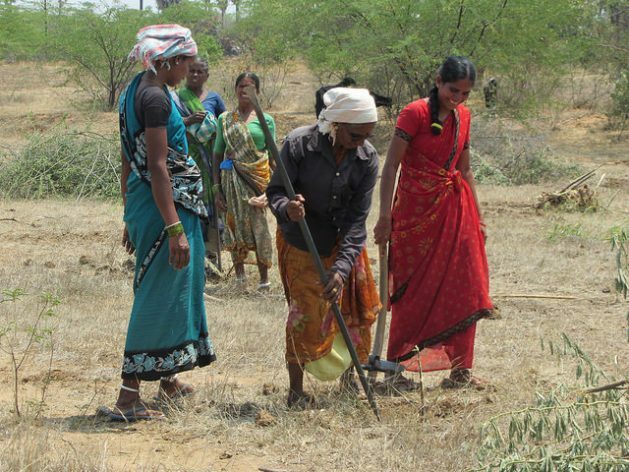 The initiative has been a big success as the women’s collective managed to grow more food than expected. As a result, the women now have received training to venture into growing crops for market, besides their own consumption. Similarly, in Eastern Uganda, the government started a new initiative with women who had no ownership over their land. They have been trained in marketing, managing a collective that cultivates arable land that was once degraded, but is now restored. Besides supporting these local initiatives at the country level, UNCCD is also mainstreaming gender equality in its own policies and actions. “We now have a Gender Policy Framework and it’s the most advanced framework all the UN Conventions and which we will apply in particular to all the transformative projects,” Barbut explains. According to Barbut, climate change’s effects on land are becoming more and more of a global problem, with major social and political consequences. She mentions the recent droughts witnessed by France, Canada and successive droughts in the US, and also points out the recent exodus of people from drought and desertification in the global south. “If you see all the migrants coming to Europe, 100 percent of them – not 90 percent but 100 percent – are coming from drylands. There are also migration and radicalism linked to land degradation and desertification. For example, in the drylands of Africa, where desertification is happening, we are seeing food riots and then we are seeing Al Qaeda,” she says, pointing to a study published by UNCCD that explores these links.